Students - Sometimes people ask where writers find their ideas. Actually, I ask this quite often. My own curiosity about this is what inspired my other blog, Sharing Our Notebooks. We cannot look inside of other people's brains, and so the closest we can come is to ask someone, "What's going on in there?" 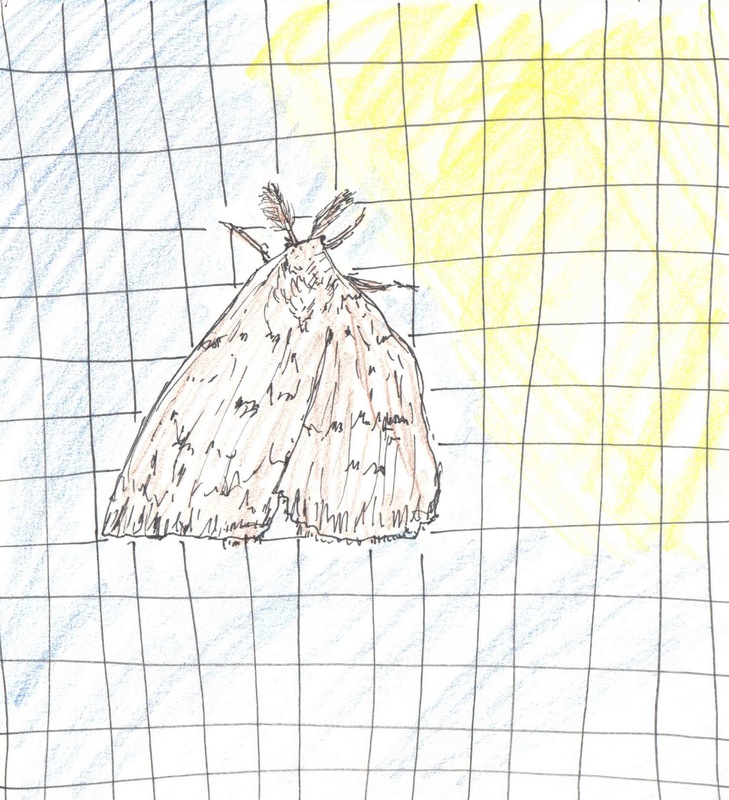 Today, some of you may be wondering, "Why is Amy writing about a moth when it is almost winter where she lives?" And since you can't ask me...I'll just tell you. One way I find ideas for writing is by reading and looking at everything, letting everything I see and learn soak into my skin and heart. This weekend, I will be part of the first WNY Children's Book Expo. Because this is a new event and there will be many authors and illustrators there, I have been curious to learn about these people I will meet. 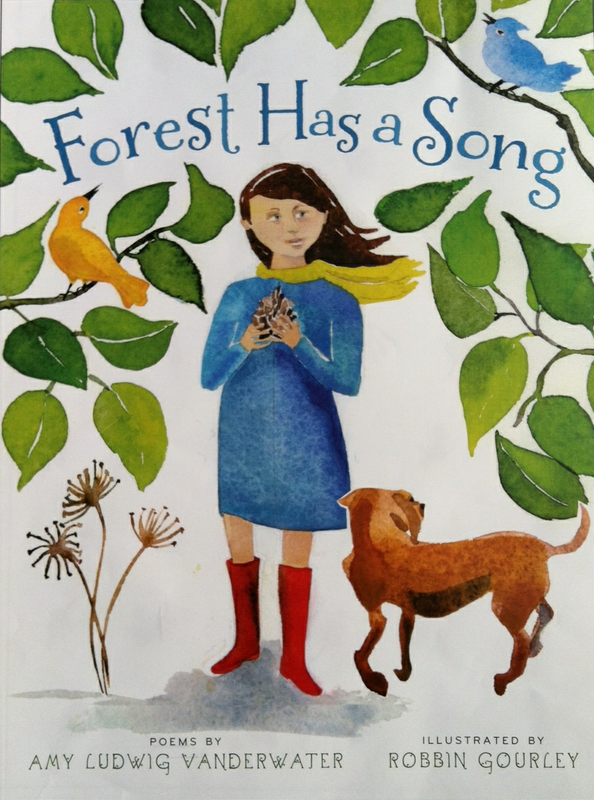 One of the visiting author illustrators is Jennifer Hansen Rolli, and I have simply fallen for her paintings. I visited Jennifer's website, and you can see the painting that inspired today's poem HERE. When I look at the painting of little Claudia holding her moth, I am reminded of our Georgia and how she has always loved small moths and creatures too. 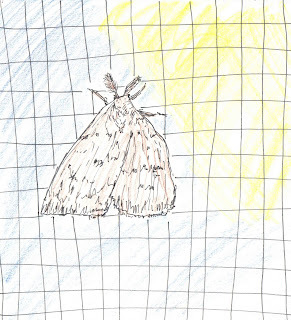 I am also reminded of our family's love for the Allegany Nature Pilgrimage, where we watch moths come to a lit sheet at night, watch and learn about how the beautiful moths of our area. And there you have it. 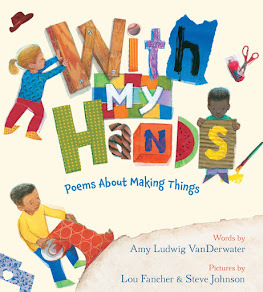 Research on authors and illustrators led to love of a painting led to memories led to gratitude led to today's poem. It's a funny trail that writing ideas take, don't you think? I must also tell you that writing about something I am grateful for feels very good inside. Research teaches us that gratitude, feeling thankful for the good in our lives, helps us to live better lives. You can read more about this here at Greater Good, and you may even choose to write a small poem thank you note to something you are thankful for. It may be something big or perhaps it will be something as humble as a moth. I'm calling this a thank you note poem, and there are many more of these inside of me. 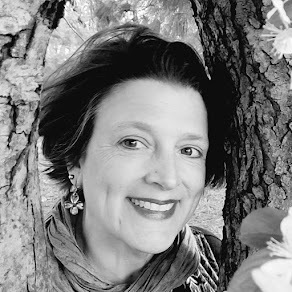 On Monday, I posted as part of a celebration of Irene Latham's 10th blogiversary! In honor of this special occasion (I am very grateful for Irene), I offered a giveaway of SHARING THE SEASONS, edited by Lee Bennett Hopkins and illustrated by David Diaz. The winner of this book is Maria Gianferrari. 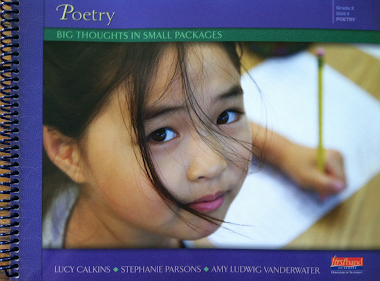 Maria - please send an e-mail to amy at amylv dot com with your snail mail address, and I will send you a book. 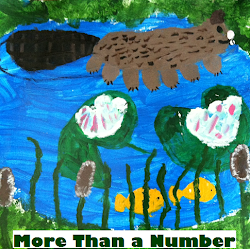 At my other blog, Sharing Our Notebooks, I could not be happier to host author K.A. Holt and her cool notebooks and process. I'm offering a giveaway of her great new verse novel, HOUSE ARREST, to a commenter on that post. Please comment by Tuesday to win! I'm so glad you shared the link to Jennifer Hansen Rolli's artwork, Amy. The expression on Claudia's face in the painting fits your lines "Thank you for reminding me that quiet small and brown can be as pretty as a sunset." The beauty in quiet, small and brown - very peaceful and comforting thought somehow. At my other home we had stucco on part of the house, and in the autumn we would find more than one of those beautiful moths "hanging out" on that stucco. I'm thinking that they liked the roughness of the wall. We loved looking. Your poem reminded me, Amy. It is beautiful. Thanks! "quiet, small and brown can be pretty," reminds me of Mary Oliver and how she sees such wisdom in nature. I didn't see your name in the NCTE guidebook. Does that mean you are not coming this year? Boo hoo. Speaking of expressing gratitude, Amy, when I was composing my own post this week, about kindness, I thought a lot about The Poem Farm. Your whole blog exudes heart and kindness. Amy, I value your process of researching that you engaged in to render your illustration and poem today. From your love of a painting you created a memory that as you said led you to gratitude and to today's poem. I think that is a solid trail to inspire young writers and adults as well. Gratitude is an emotion that I have embraced and has led me to become more positive in the face of challenges. Thank you for underscoring your journey today. Do you have a poem on autumn that you would share for Autumn's Palette Gallery?